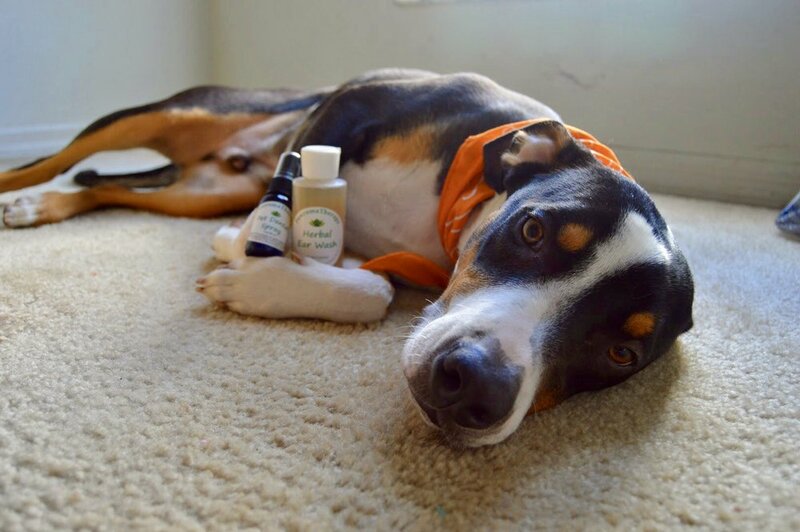 Rich in omega fatty acids, Glimmer is a great way to support skin health in dogs. With EPA, DHA, and GLA, Glimmer maintains the skin’s normal moisture content and may help tame seasonal shedding. Using fish oils (sourced from krill and anchovy) this may also lend a helping hand to itchy, dry skin on dogs. The perfect boost for dogs of all ages! Dog dandruff, dander, and dry skin often occur when a dog is lacking beneficial omega 3 fatty acids. With this considered Dr. Bessent took a different approach to skin health, featuring fish oils (anchovy and krill) from the bottom of the food chain as well as DHA from algae, borage and evening primrose oil, and polygonum root and black sesame seeds. A natural way for your dog to get that hydrated skin. Krill & anchovy are great protein-based sources of EPA and DHA. They are also very tiny fish, which makes them less likely to harbor high mercury levels. Unlike salmon oil (which is the most popular source of Omega 3 for dogs), anchovy and krill are at the bottom of the food chain, so they do not experience the effects of biomagnification quite like salmon do. These two oils supply a specific type of Omega 6 fatty acid that dogs are typically lacking: GLA (gamma-linolenic acid). These beneficial oils are awesome for hydrating the skin and helping the body produce its own protective oils that nourish skin. Black Sesame Seed has been used for thousands of years in Chinese medicine to strengthen the skin. It's another source of those oh-so-awesome Omega 3s. Another ancient Chinese herb, polygonum has long been used to support healthy skin. Administer the recommended amount below daily. Safe use in pregnant animals or animals intended for breeding has not been proven. Use caution in animals with diarrhea and animals with a history of seizures. Use caution in animals taking NSAIDs. Administer during or after the animal has eaten to reduce the incidence of gastrointestinal upset.